Ask BCIT graduates what they think of their time at BCIT and many will tell you they worked hard just to survive. So, when we find graduating students who didn’t just survive but thrived in their areas of study, we take note and we celebrate. 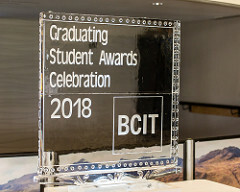 This past June, BCIT Foundation, along with our generous donors, were proud to fête those students with 345 awards at the BCIT Graduating Student Awards Celebration. Guests at the event also heard from Vice President of Human Resources Kate Nova. Beedie Development Group. The company has been a very generous and supportive partner in the student graduating awards. This year, Beedie sponsored 10 awards in Architectural and Building Technology, Bachelor of Technology in Construction Management, and Carpentry Framing and Forming Foundation. Student award recipients Gregory Frame (Marketing Management – Marketing Communications), and brothers Leonardo and Rafael Correa Reinhardt (Automotive Service Technician), also addressed the crowd, expressing their gratitude for the donors who made their awards possible. Moshtagh Mohammadi, also an award recipient, was also recognized for his achievements. He shared his remarkable journey—from a persecuted child in Iran to a high-achieving Civil Engineering student at BCIT—through a special video that showed the impact his award has made in his life. Read his story and watch the video. The graduating student awards, which spanned four different categories, totalled more than $233,000. Congratulations to all our graduating student award winners. 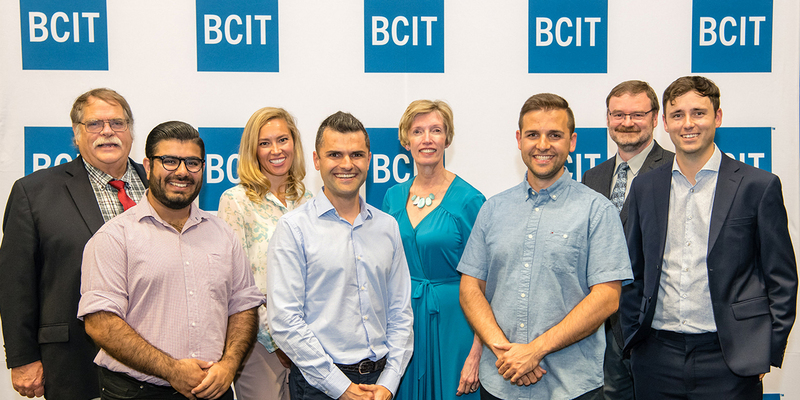 We are excited to see what you do next as you launch your careers as BCIT alumni. View all the photos from the event.